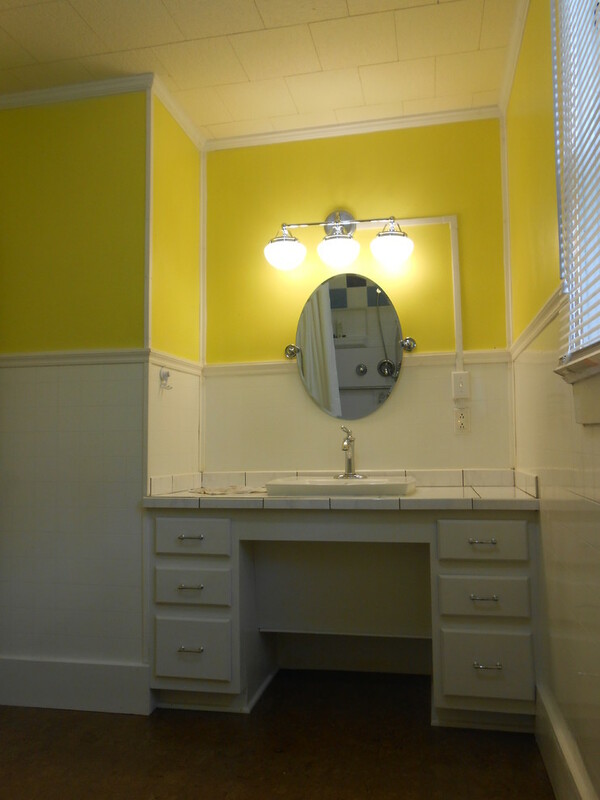 Wheelchair accessible custom vanity with tilt mirror and lever style faucet. 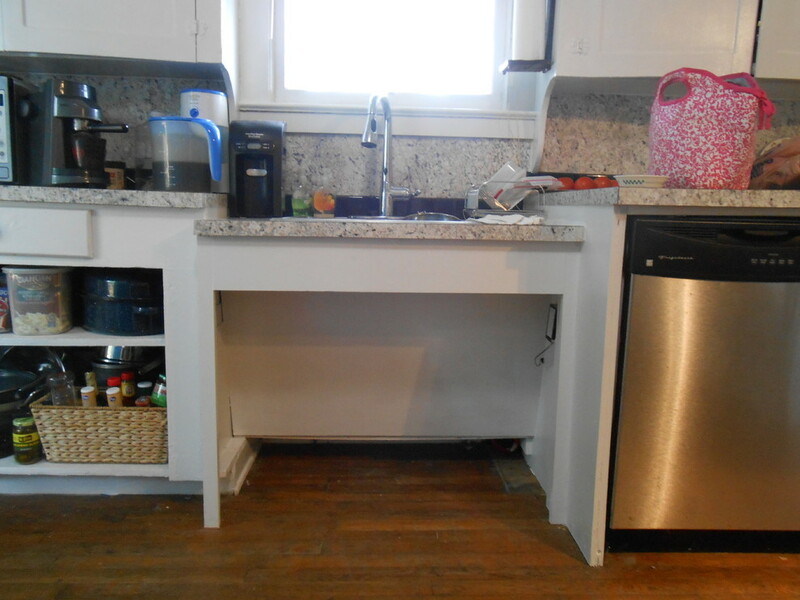 Wall between dining room and kitchen removed and turned into a cased opening with a wheelchair accessible, roll-under eating and workspace. 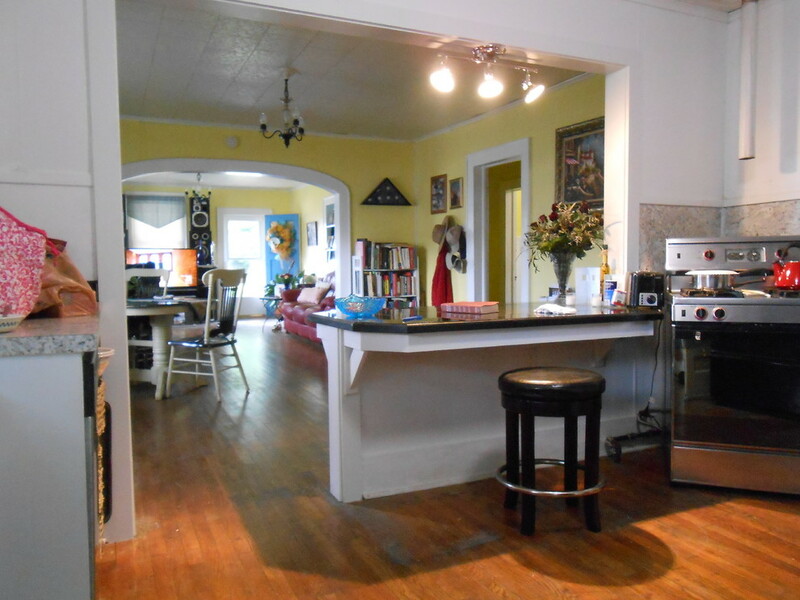 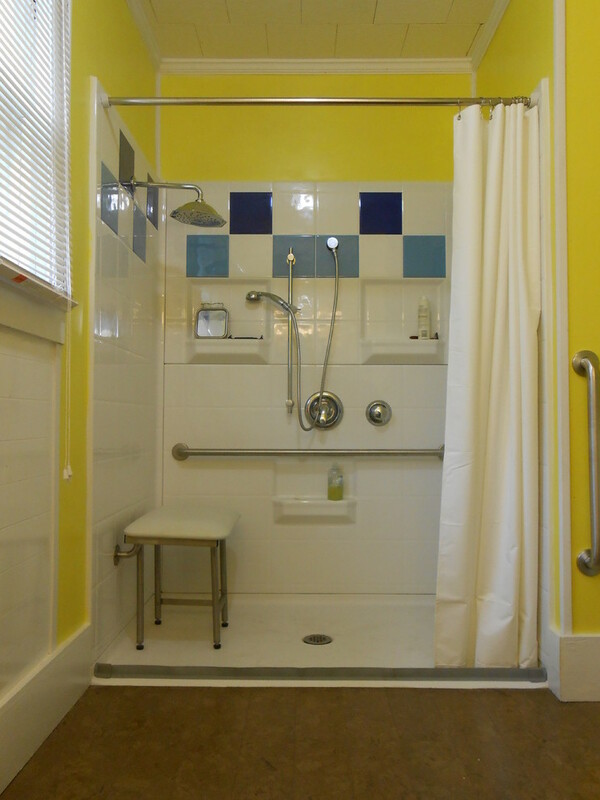 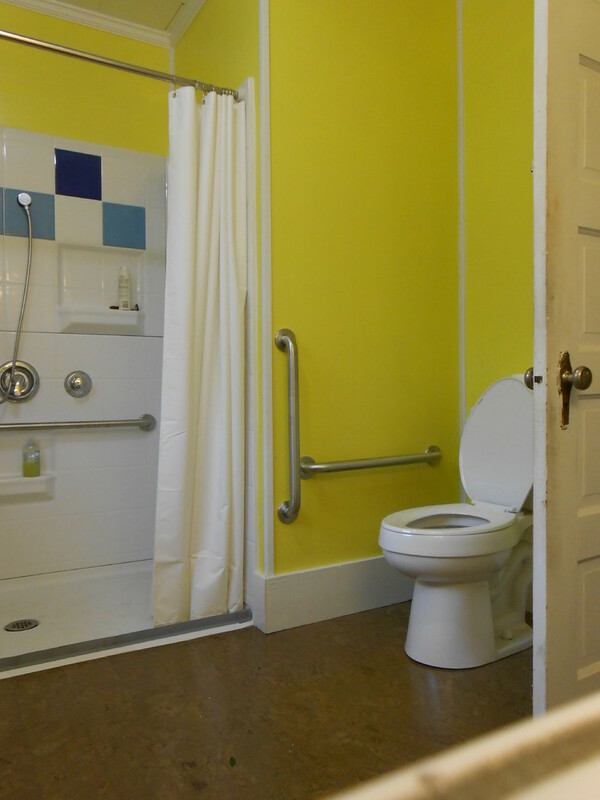 Wheelchair accessible roll-under kitchen sink with hands-free faucet and shallow sink. 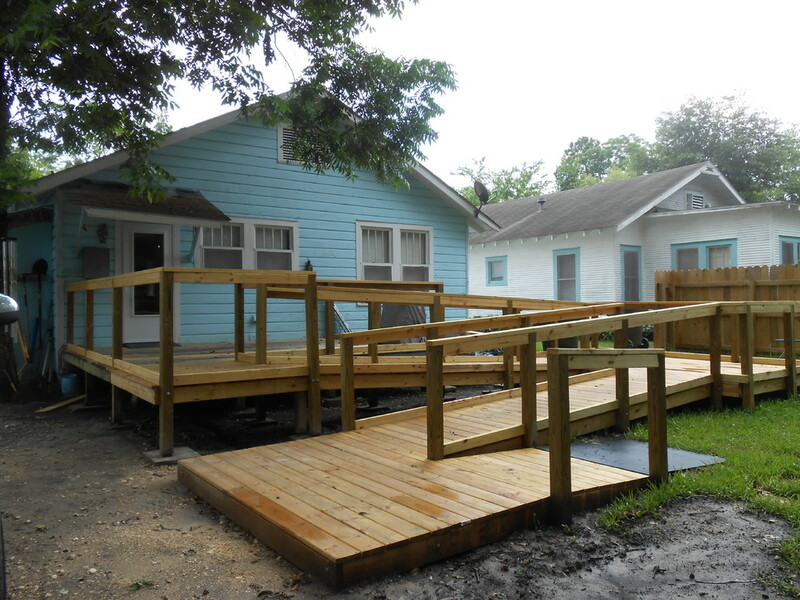 Wheelchair ramp with van-height docking platform and steel transition plate to backyard.